Businesses produce approximately 60% of the carbon emissions from the production of good and services your customers purchase. That's more than half! The products you sell require energy to acquire raw materials, production and delivery to the consumer. You can help reduce your businesses carbon footprint through energy conservation. Energy efficient equipment and recycling can help immediately. 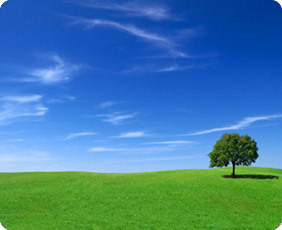 The use of Global Carbon Trax carbon offsetting will allow your business to become even more environmentally friendly. By caring the Global Carbon Trax CarbonNeutralSM product designation your customers can be assured your business is doing its part in the effort to reduce greenhouse gasses. Global Carbon Trax carbon offsets are used for real carbon offsetting by producing energy using wind generation. We also use reforestation, grassland restoration and preservation of lands threatened by development to offset the carbon because they are the natural greenhouse gas scrubbers. Click here to contact us for more information our corporate audits to see what your business can do.